This resin is a must-have for ingredient in the chypre family of fragrances (in a marriage with patchouli, bergamot and oakmoss): rich, green, mysterious, woody. A little dry, but with hints of pine in there, too. It evolves over time and is very complex, and requires a perfumer’s deftest touch – but it’s incredibly valuable to ‘noses’ as a fixative. It works wonderfully in floral accords alongside hyacinth, iris, narcissus, violet and gardenia - and blends well with spices, too. The gum itself comes from an umbelliferous (umbrella-like) Persian grass, and can vary from amber to dark green. It’s collected from the stems in small drops (‘tears’). Isn’t it hard to imagine that a plant so green and wafty can produce a scent that’s so deep and resinous. 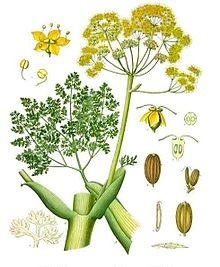 Its use in perfumery goes back millennia: galbanum appears in the Old Testament as an ingredient in holy incense, and was an ingredient of the Egyptian perfume Metopian. Galbanum essential oil is quite different to the gum: intensely green, slightly bitter, earthy. This product of the galbanum plant is used as a top note, instead – and some very famous fragrances (see below) get their character from this VIP perfume ingredient – most notably Chanel’s No. 19. The galbanum used in No. 19 was a very high grade from Iran. When the Iranian revolution broke out in 1979, the oil supply dried up – and Chanel’s perfumer faced the challenge of reworking this iconic scent. 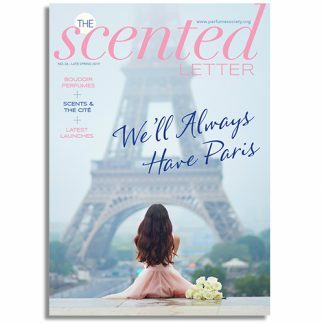 These are the types of challenges which perfumers face: the back-stories you can’t imagine, when you un-stopper a bottle…! The galbanum plant produces the gum resin asafoetida, used in Indian cooking (as well as perfumery), which you can read about here. 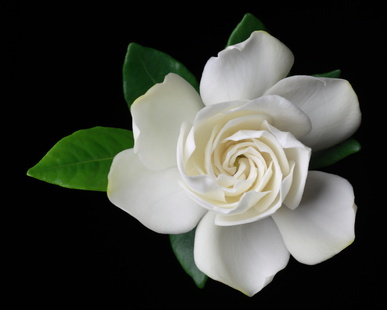 It takes around three to four thousand kilos of gardenia flowers to produce a kilo of ‘concrete’ (solid perfume) from gardenia plants – so not surprisingly, this heady white flower is one of the priciest ingredients in a perfumer’s arsenal. Not surprisingly, a synthetic version’s often used. Alternatively, perfumers can mix other white flowers to create a gardenia-esque effect – tuberose, jasmine and orange blossom do the trick. 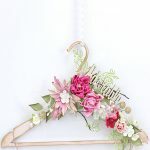 Symbolically, it stands for harmony, love and grace – but in fact you can put an innocent spin on gardenia, or a racy one. The jazz chanteuse Billie Holliday would tuck a gardenia blossom behind her ear before performing. 19th Century courtesans in Shanghai used it to dye their underwear a vibrant yellow. In the Victorians’ language of flowers, gardenia stood for refinement and purity. You know that so-distinctive smell when rain falls onto earth…? We’ve been known to stand there, sniffing, for the sheer pleasure of it. Of course there’s no way to capture that smell naturally, so perfumers turn to chemistry to recreate that evocative scent. 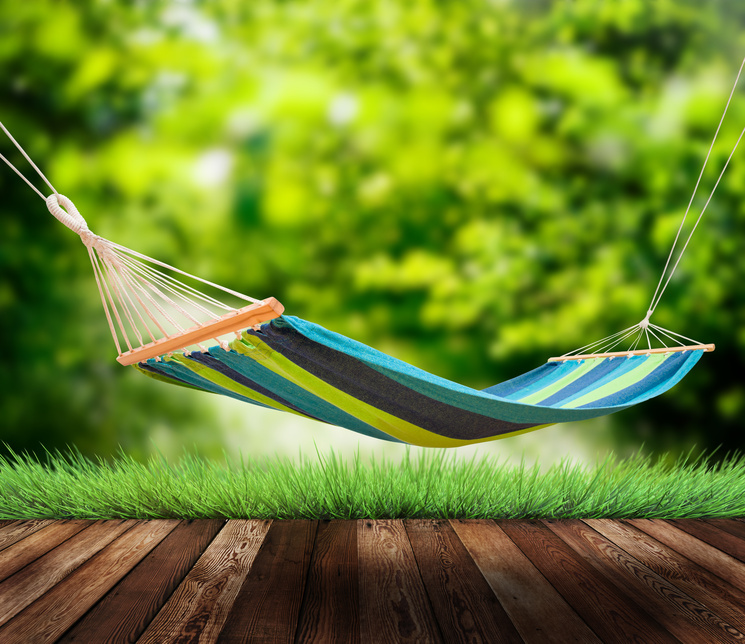 It can actually be created in nature through the activity of a bacteria called Streptomyces, along with a special enzyme. But mostly, when encountered in fragrance, it’s a synthetic. Get out your magnifying glass. Look at the label on your perfume. The word ‘geraniol’ may be written there, as this is one of the perfume ingredients known to trigger sensitivity, in some people – so it’s there as a warning. (Doesn’t mean it will. Just that it can. Maybe. Sometimes.) It’s actually a natural aroma chemical found in roses, but also citronella, geranium, palmarosa, petitgrain, eucalyptus. Geraniol’s used in perfumery to ‘extend’ the scent of roses, bringing sheer, floral freshness to blends. For many of us, geranium has an incredibly nostalgic scent: the scent of a grandmother’s greenhouse, rubbing a furry-leaved plant between our fingertips. 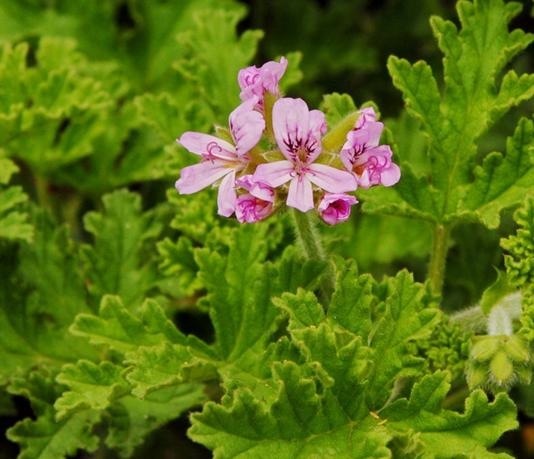 In fact, there are hundreds of species of geranium, with scents that conjure up many other plants: lemon, apple, lime, mint, orange, rose, citronella, camphor, pineapple, sage and more. The leaves and stems can be steam-distilled to produce oils, then, with quite different characters – depending on the variety. 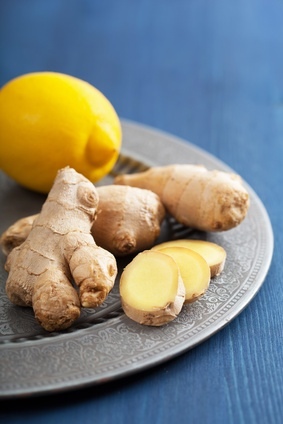 Bracing, uplifting and almost nose-tinglingly spicy, ginger pairs beautifully with vanilla, woody notes and citrus, as well as white flowers like jasmine and neroli. This spice is used quite widely in perfumery – as well as a wide range of foods and medicines, too, produced everywhere from South America to Malaysia, the Caribbean, Japan and Africa. Many of us are familiar with the beige-skinned, yellow-fleshed fresh spice, which adds pungency to cooking – as the Romans, who first imported it, discovered. Those same roots we love to spice up our food with – rhizomes, to use the perfume world’s word for them – can be steam-distilled to produce this useful scented oil. The rise (and rise) of fruity scents has given a new lease of life to this fruit, once reserved for the pudding course and jam-making. 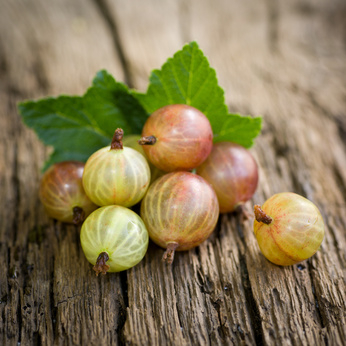 The hairy-skinned green or red fruit add a tart, prettily fruity edge to fragrances – mostly fruity-florals. We eat grapes, we drink them – and sometimes, we dab or spritz a synthesised version on our pulse points. Sugary and sweet, sometimes greener and drier, the note can conjure up the smell of the popular American soft drink Kool-Aid: the same ingredients (methyl anthranilate and dimethyl anthranilate) go into both. 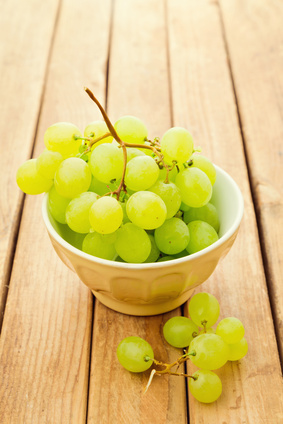 As with many fruit ingredients, grapes are having their moment in the sun, thanks to fragrance fashion. Whoosh! 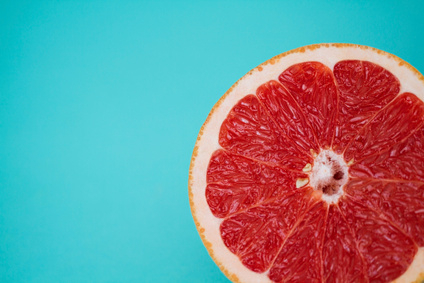 Quite often, especially in Colognes, you’ll get a zesty burst of grapefruit in the very first hit. Sharp, aromatic, refreshing, grapefruit – from the peel of the fruit of the Citrus paradise tree - blends well with other citrus ingredients in the ‘overture’, or top notes, of summery and uplifting scents, blending well with basil, lavender, cedarwood and ylang-ylang. (In aromatherapy, it’s a wake-up oil.) It really is happiness, bottled. Is there anyone doesn’t love the smell of new-mown grass? 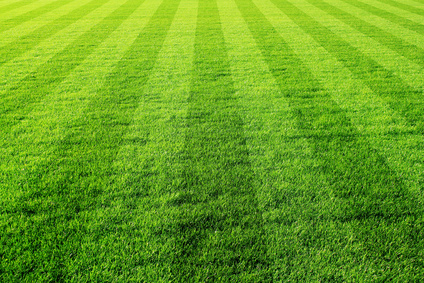 Some hay fever sufferers, maybe – but most of us just love the fresh, green scent of grass. 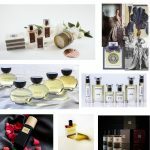 In perfumery, though, grass delivers a sweet, herbaceous scent – maybe not quite like walking past a house where the grass has just been cut, but delivering a gust (or a whisper) of outdoorsy freshness, nonetheless. What’s a sticky, bright red syrup doing in a perfume bottle? Adding to the cocktail of perfume ingredients, that’s what, with its citrussy, tart-sweet fruitiness. Of course it’s not actual grenadine itself – which is made from pomegranate juice, cherry juice and sugar – which perfumers use: the grenadine note is generally synthetic. 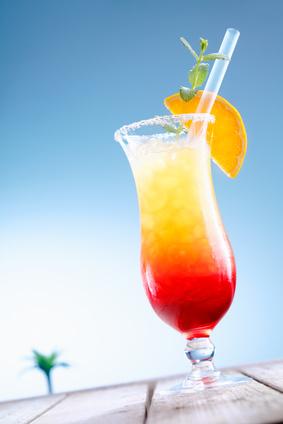 But – just like a real cocktail (paper parasol optional), it adds a sense of summer to fragrances. First off, how to pronounce it: gwy-ack. But how does it smell? 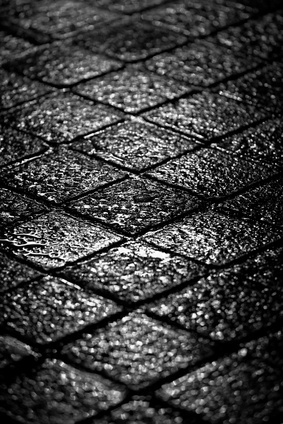 A little bit birch tar-y, even tarmac-y. A little bit rubbery, sometimes. Hints of tobacco, too, or the whiff of burning leaves in winter. There’s nothing light and airy about guaiac wood, that’s for sure. 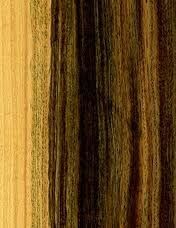 From the striped heartwood of a small tree called Palo Santo (Bulnesia sarmienti) – which translates as ‘tree of life’ - it’s not as down-and-dirty as agarwood (oud), but is nevertheless used to give depth and intrigue to scents. It has a medicinal as well as a fragrant use, meanwhile: since at least the 16th Century, Native Americans have turned to guaiac wood to treat really serious ailments (hence the ‘life’ in the name). It’s also used for making charcoal, for posts and for engraving. Personally, we prefer to wear our guaiac wood, for an air of mystery. 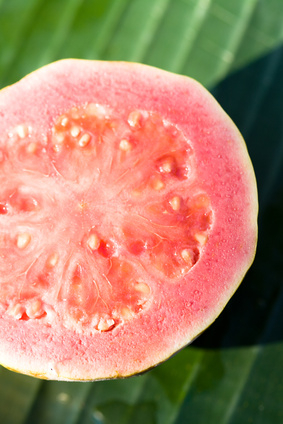 Guavas themselves, we find, don’t travel well: best enjoyed in a tropical setting at the peak of their ripeness. But guava as a fragrance ingredient certainly does travel – and has been turning up in many fruity-floral and gourmand creations, of late. When you eat it in situ, the flesh can be lush, sweet and juicy – or a touch on the bitter side. So it is with the fragrance ingredient: perfumers like the bitter-sweet, touch-of-lemon quality of guava, which ensure a fruity-floral scent doesn’t tip over into too-sweetness.